My '500 Bloglovin followers giveaway' just ended this week but I felt quite sad that it was over so I decided to do another one! This time I'm making it an international giveaway as so far I've only done UK ones but I want to include all of my followers as I am so grateful to all of them for following my blog. I've chosen some fab products that I either already owned or decided to buy for myself alongside the prizes as I've read a lot of great things about them. All of the products photographed are my own versions, the winner will receive brand new, unopened versions. Hopefully you will like my selection of products and it will make a nice little treat for Christmas. There will be one winner of my giveaway and they will win all of the products featured in this post. The giveaway will be open for one month then the winner will be selected at random. The winner will receive email notification and the prize will be sent out as soon as possible after receiving the winner's postal details. I can't guarantee the prize will reach you before Christmas as it depends on your location but fingers crossed! 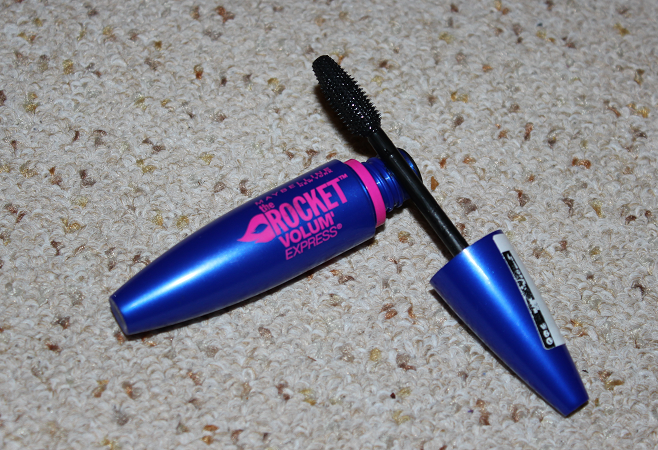 Maybelline The Rocket Volum' Express in Black - I've been loving this mascara lately. It really separates the lashes with the plastic toothed brush and it's great for volume too. Bourjois Color Edition 24H in Petale de glace - I love this eyeshadow as it's different to other cream shadows with its powder finish. I've chosen a natural colour that should suit most skintones/eye colours etc. 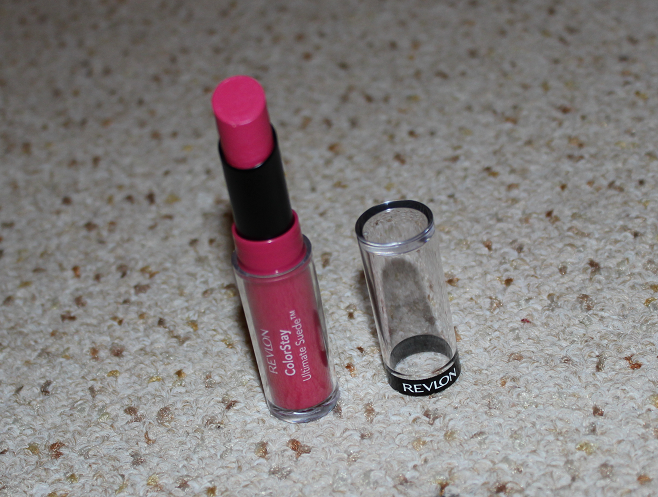 Revlon ColorStay Ultimate Suede Lipstick in Muse - This is my second colour in this line and I love the beautiful raspberry shade. It's perfect for this time of year. Rimmel Moisture Renew Lipstick in the shade In Love with Ginger - Again this is my second colour from this line and I chose it because I've read it's a bit of a dupe for MAC Morange which I've always fancied buying. The formulation of the lipsticks is amazing as it's really moisturising, as you might expect from the name. 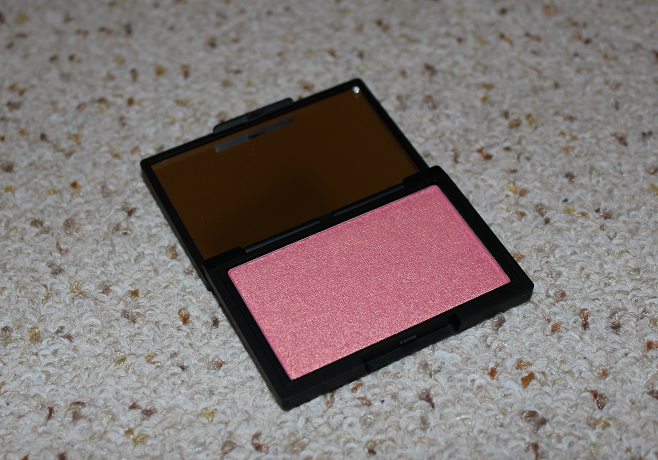 Sleek Blush in Rose Gold - Sleek blushes are so nice and pigmented so I had to pick up the popular shade Rose Gold. This peachy gold will give a gorgeous glow to the cheeks. Barry M Natural Glow Shadow & Blush palette - Barry M recently brought out three palettes and this one appealed to me most. 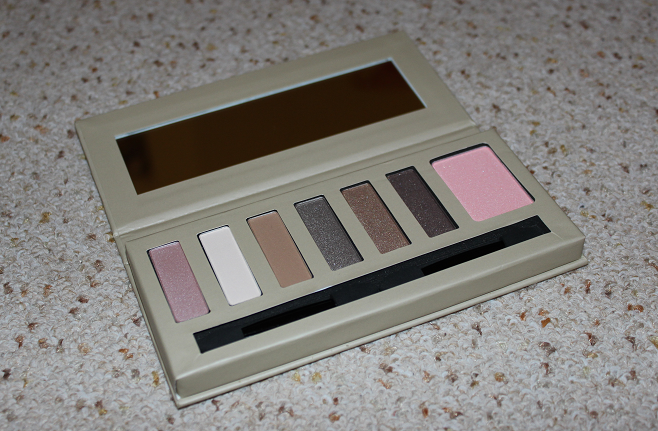 This set contains some very wearable neutral shades and a light pink blush. This set would be perfect for travelling or adding to your bag for a top up throughout the day/night. I'd most love to win In Love With Ginger! The revlon lippy looks gorge!! 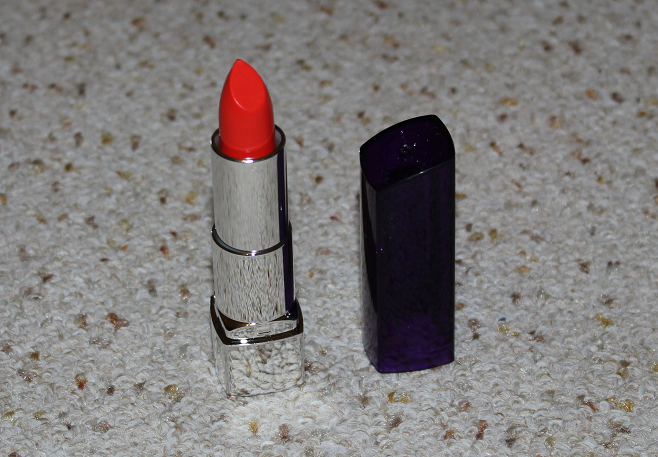 The Rimmel Lipstick in 'In Love With Ginger' has been on my wishlist for a while now! I'd love the Barry m Palette! The Barry M eyeshadow pallete as it is not available here. i'd like to win the palette! Great giveaway! I would love to win the rimmel lipstick it looks soo pretty! definitely the rimmel lippie it looks gorgeous! Congrats on athe followers! The eye shadow palette looks so pretty! As does the sleek blush! Great giveaway! I'd most like to win the Barry M palette! 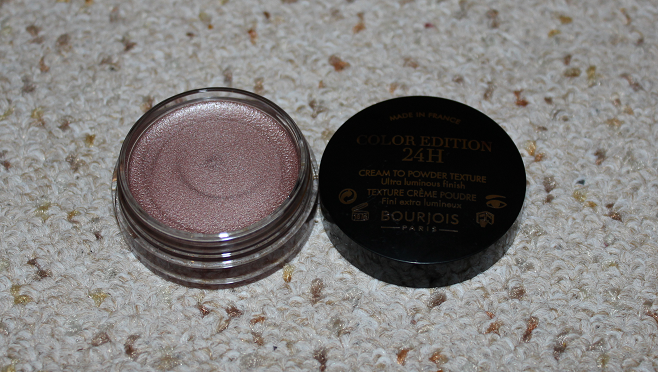 Bourjois Color Edition 24H in Petale de glace looks really nice. Gorgeous prizes, thank you! The Barry M palette seems wonderful! I'd most like to win the Rimmel Lipstick because I've been lusting over Mac Morange for months! Really excited for the Sleek blush! Barry M Natural Glow Shadow & Blush palette!! it looks fantastic! I'm loving the Barry M palette. It's gorgeous! the barry m pallette and the lipsticks!! everything is awesome though! the bourjois eyeshadow looks bloody gorgeous, love anything made by bourjois anyways! The Sleek Blush in Rose Gold. would love to win the Barry M palette. I love eyeshadows! The Barry M palette looks amazing! I would love the most the Barry M Natural Glow Shadow & Blush palette :). 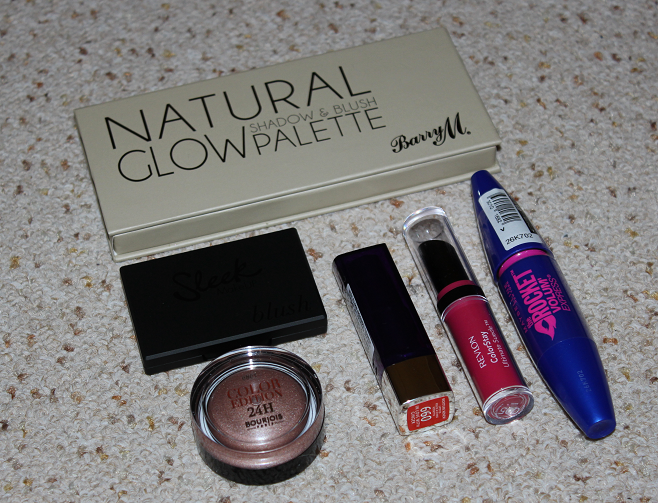 I would like to win most is the Barry M Natural Glow Shadow & Blush palette. I would love to try the Bourjois Color Edition 24H in Petale de glace .Love it! I would love to win the Barry M palette! I would love to win the Barry M palette! It's beautiful. Sleek Blush in Rose Gold is the product which I would like to win. Sleek Blush in Rose Gold - i would like to win it! !thank you!! I'd love to win the palette ! Great giveaway! They're all very nice products, I'd love the Barry M palette, great colours. I'm most curious about the mascara as I've never tried it before. That's true for the other items as well, but I'm just a mascara person. Cosmetici tutti bellissimi! Mi piacerebbe avere. The sleek blush is gorgeous! I'd most like to win the Sleek blush in Rose Gold; it's stunning! Id love to win the barry m palette! The barry m palette! The colours look gorgeous *-* Thanks so much for the chance! I think I d love to test this beautiful palette..so lovely colors! I adore Barry M Natural Glow Shadow & Blush palette! I love the Barry M Natural Glow Shadow & Blush palette! Love the Barry M palette! Great giveaway. 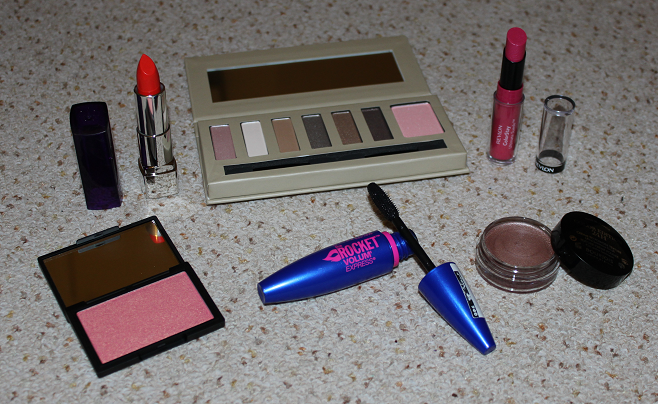 I just started wearing makeup and I'm sure all of these will help me to explore moreee <3 This is great! I would love to win the palette she has beautiful colors .. I'd most want to win the Barry M palette! Such a lovely selection of products :) I'd most like to win the sleek blush as I haven't tried any of theirs yet. Fingers crossed! i really want the blush! The Barry M Palette for sure! I would love to win the Barry M palette it looks amazing! The sleek blush looks lovely! The shadow and blush palette. I would love the palette too!